The capacity or size of the world stock market was estimated some time in 2008 at about $36.6 trillion the total derivatives market was also estimated at about $791 trillion considering the face or nominal value it covers the size of the entire world economy for up to a decade. The stock market or equity market is a public entity for the trading of company stock (shares) and derivatives at an agreed price; these are securities listed on a stock exchange of any nationality as well as those only traded privately. Stocks are listed and traded on stock exchanges which are entities of a corporation or mutual organizations specialized in the business of bringing traders known as buyers and sellers of the entity’s listing of stocks and securities. those who Participates in the stock market ranges from the individual stock investor to big hedge fund traders and stock broking firms, who can be stationed anywhere in the part of the globe. Their orders usually end up with a professional at a stock exchange, who executes the order. The purpose of a stock exchange is to facilitate the exchange of securities between buyers and sellers, thus providing a marketplace which may be virtual or real. The exchanges provide real-time trading information on the listed securities, facilitating price discovery. Principle#1: your mindset and attitude you carry into the trade matters a lot, you must have a clear concise goal as to the profit margin you are aspiring or looking at, the time frame to achieve that. The time frame set aside to achieve your set goals is most important. There may be need to adjust the set time frame due to unforeseen circumstance. In such cases mapping out a short or long time strategy may be needed to achieve the investment goal. For example your risk level may be higher than what you expect hence the need to aggressively specify by adjusting the timeframe so as to achieve those goals. There is a correlation to risk vs reward in investing and making sure that the higher risk can result in a reward high enough to justify a temporary setback with a losing stock investment. Let your winners run. This is the golden rule of successful investing which acknowledge that you let your winners run, this means that you might not think it, but it is the most difficult and hardest part emotionally to follow. It’s very easy to see a stock move up nicely. On the other side of the coin, how bad it feels when a stock takes a short-term stumble. Not fully knowing it will come back up or not. This is when it gets very difficult to keep your faith in a stock. If you sell now you could be missing an even bigger run right around the corner. So learn to stick to your strategy, mindset and opportunities in order to profit from the trade. Principle #2: Make faster and larger profits by investing with the market in both bull and bear markets. If you are not utilizing bear market to make additional profits it’s like leaving money on the table. Fully utilize the power of compounding to enhance your gains exponentially. You won’t see the benefit on a single trade, but add up multiple profitable trades and you will start to see the power. Even Albert Einstein called the principle of compounding interest the “Eighth wonder of the world”. Principle #3: – Eliminate emotional buying and selling of stocks. This leads to buying and selling too early or too late, which is the biggest reason why people lose big in the stock market. •	You can buy the market as a whole. That is you invest in a portfolio of, say, 20 shares and then forget about them using any dividends to boost your income. •	You can be an active investor, a speculator even, and buy and sell shares every week or month, seeking to make a profit from the ups and downs of the stock market. 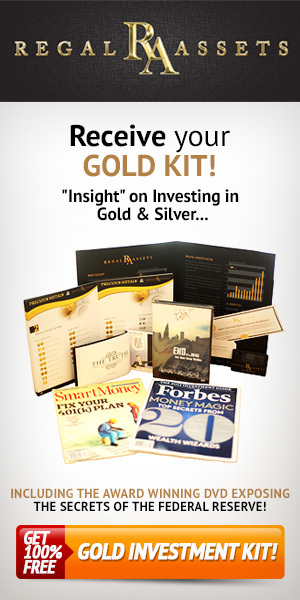 •	You may want to buy individual shares other than on a new issue. Which ones to buy and when to sell is something even the experts don’t agree on, so there is an opportunity for individuals to use their judgment and luck to choose shares themselves. There is no shortage of advice. Most newspapers and specialist magazines regularly tip share purchases. There are special newsletters which give share tips and stockbrokers often give their clients recommendations. •	If you just follow the published advice, you will often find that the share price has risen by the time you get round to buy the shares. That is because whenever a share tip is published; all stock market dealers automatically raise the price. If the tip is found to be correct, then the price will probably rise further. Buffett undoubtedly inherited his strong aversion to permanent capital loss from Graham. To succeed over an investment lifetime, you do not have to find the next Microsoft, but it is necessary that you avoid significant losses. if you like this post please help spread the word on the available social sites and also click on the Google plus and facebook like icons,thank you.